Scientist Don McPherson got his start as an inventor melting glass-making ingredients enriched with rare earth elements to create safety eyewear lenses for surgeons. They help surgeons differentiate patient tissues while performing laser procedures and provide protection from laser beam exposure in the operating theater. In his free time, McPherson was an ultimate Frisbee player. He used the safety eyewear as sunglasses, a practice he picked up from the surgeons who were so enthused with the eyewear's ability to enhance visible colors that they started removing them from the operating room and wearing them outside. At a Frisbee tournament in Santa Cruz, California, McPherson's friend asked to borrow his sunglasses. Within seconds, his teammate was overcome with amazement: “Dude, I can see the cones,” he said, describing a “fluorescent orange” cone and “bright green” grass, colors seen for the first time by someone with red and green color blindness. In an instant, an invention was born. McPherson was on to something. The American Association for the Advancement of Science showcases inventors like McPherson, honoring their dedication to solving global challenges and supporting innovations through the AAAS-Lemelson Invention Ambassadors program, founded in 2014 in partnership with The Lemelson Foundation. The program celebrates innovations annually. McPherson and seven others were selected to be 2018–2019 AAAS-Lemelson Invention Ambassadors. The eight innovators were welcomed to the fifth annual Celebrate Invention event at AAAS headquarters in Washington, D.C., in late July. Each ambassador delivered a presentation describing their inventions, showing how they improve people's lives and tracing the interdisciplinary features of their work. 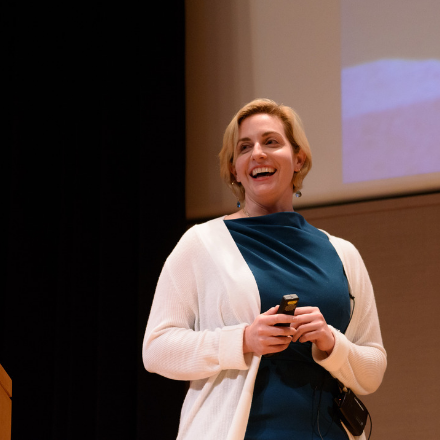 Rachel Walker, an oncology nurse and assistant professor at the University of Massachusetts, Amherst, College of Nursing, walked through inventions she and an interdisciplinary team have been designing. Included are a portable system to purify water and generate IV fluids onsite in disaster areas; tools to help breast cancer survivors treat residual pain at home; and a mechanism for cancer patients to monitor chemotherapy to ensure that family members avoid exposure when patients administer treatments at home. 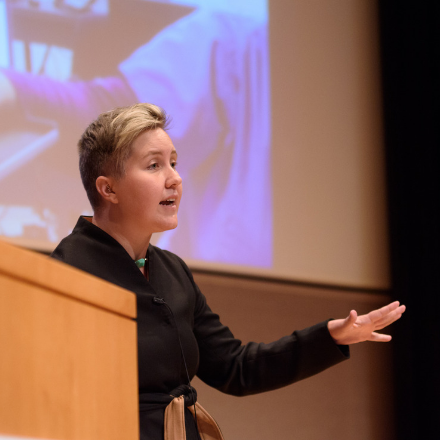 Another innovator, Mary Kombolias, a senior chemist at the U.S. Government Publishing Office and a guest researcher at the National Institute of Standards and Technology, explained how she and a group of other scientists brought a cumbersome process from the 1920s into the 21st century. She and fellow researchers developed a novel, non-destructive method of performing fiber analysis of paper. This method has forensic capabilities and also can detect recycled fiber content and determine the relative age of paper. “The Invention Ambassadors program endeavors to enrich and inspire a fresh and diverse generation of young inventors by expanding global understanding of the realm of invention and innovation,” said Shirley Malcom, AAAS senior adviser. Such innovations have long been powerful contributors to U.S. economic growth. Yet, over the last 45 years such expansion has slowed from a onetime 1.9% annual growth rate to 0.75%, according to a research paper popularly known as “The Lost Einsteins” authored by Stanford University professor Raj Chetty and four other academics and experts associated with Opportunity Insights, an institute dedicated to improving economic opportunities. Like many innovators, the hint of invention sent McPherson on a years-long information-gathering mission. Some 6 months would pass before he was sufficiently confident to apply for a research grant. In time, the National Eye Institute and the National Cancer Institute would fund McPherson's work with five grants totaling $1.15 million through the National Institutes of Health's Small Business Innovation Research program. McPherson holds 6 patents and has authored 14 scientific research papers. Progress accelerated in 2010 when he and mathematician Andrew Schmeder cofounded EnChroma, Inc., a Berkeley, California-based company that now uses proprietary lens technology to produce eyeglasses that can help correct color vision deficiencies impacting at least 300 million people across the globe. McPherson is EnChroma's chief science officer, Schmeder is its chief executive officer. Like many inventors, McPherson's discovery emerged from an early desire—in his case, to become a glass sculptor. It turned out that his visit to Alfred University after graduating from college revealed that it no longer offered a Master of Fine Arts degree in glass making. Instead, a professor advised him to visit the engineering school. McPherson would go on to apply an inventor's curiosity, determination, and persistence to earn a Master of Science and a Ph.D. from the university. The glasses have transformed the lives of children and adults across the world. The moment someone sees colors for the first time prompts powerful emotional responses, McPherson said.